Your Voice Matters! Election day is Tuesday, May 8, 2018. I appreciate your support in my campaign to improve the quality of life for the Ohio 26th House District. Part of that improvement, includes YOU…your thoughts, your opinions, your voice. While I may not be able to respond to every submission, it will definitely be heard and supported, just as you’ve supported me. Let’s answer the call to action and keep Ohio moving forever forward! Your voice matters. Election day is Tuesday, May 8, 2018.  Remember to vote, Michael Cole for Columbus City School Board. Let’s continue to TURN IT UP! Our journalists daily surf the Internet resources and websites to provide you with the latest information on current state of international politics.